September 26, 2010 - SCREENING! Once more to the Big Apple: we'll play the New York United Film Festival, Oct 22-28. August 26, 2010 - SCREENING! the Williamsburg International Film Festival has invited Miracle Investigators to screen, September 23-26 in New York City, our 35th festival screening! August 12, 2010 - SCREENING! Miracle Investigators has received an invitation to the Philadelphia Film and Music Festival, in Philadelphia, PA, Sept 23-26. August 11, 2010 - SCREENING! Another United Film Fest. We'll play the Chicago United Film Festival in of course Chicago, IL, Sept 10-16. July 21, 2010 - AWARD! We took 2nd place in the juried Indie Comedic Short Film competition at the Plymouth Rock Comedy Festival. Congratulations to cast and crew! July 7, 2010 - SCREENING! Miracle Investigators has been invited to the Prescott Film Festival in Prescott, AZ, this August 6-8. June 30, 2010 - SCREENING! We've been invited to play the Plymouth Rock Comedy Festival in Plymouth, MA, July 3-10. June 21, 2010 - SCREENING! We'll play at the Tulsa United Film Festival in Tulsa, OK, July 29-Aug 2. May 21, 2010 - SCREENING! the San Francisco United Film Festival has invited Miracle Investigators to play, June 11-17 in San Francisco, CA. April 16, 2010 - SCREENING! Back to the City of Angels: Miracle Investigators has been invited to screen at the Los Angeles Comedy Festival, May 6-23. April 5, 2010 - AWARD! 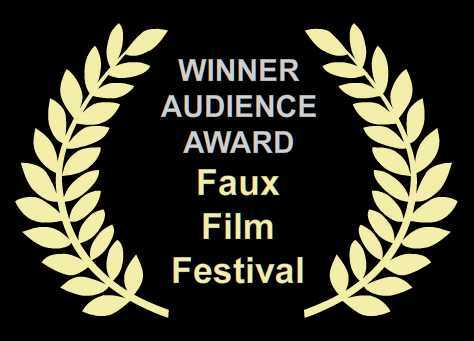 Miracle Investigators was honored to take home one of the "Best of Faux" audience awards this past weekend at Portland's Faux Film Festival. March 11, 2010 - SCREENING! Not quite hometown, but close. We'll play at the Indie Spirit Film Festival in Colorado Springs on April 23-25. February 23, 2010 - SCREENING! Miracle Investigators will be screening at the Faux Film Festival in Portland, OR, on the weekend of April 2-4, 2010. February 16, 2010 - SCREENING! Miracle Investigators has been invited to screen at the Nashville Film Festival, April 15-22. February 2, 2010 - AUSTRALIAN PREMIERE! Miracle Investigators will play the Byron Bay Film Festival March 5-13 in Byron Bay, Australia. January 8, 2010 - PRAISE BE TO MIRACLE INVESTIGATORS! We received a shout out in the Denver Post's "Best Bets" for upcoming film events. Post critic Lisa Kennedy called us "Absurdly fun," and part of a "divine" mix of films at the Festivus Film Festival. December 22, 2009 - HOMETOWN PREMIERE! Miracle Investigators are finally coming to Denver, CO, playing as an opening night selection at the Festivus Film Festival on Thursday, January 14. Jeremy and star John Hoff will attend in person. November 18, 2009 - SCREENING! Miracle Investigators will play at the Trail Dance Film Festival in Duncan, OK, January 22-24. September 26, 2009 - PRAISE BE TO MIRACLE INVESTIGATORS! We were particularly excited to meet Thomas Lennon and Robert Ben Garant at the Friars Club Comedy Film Festival this weekend. 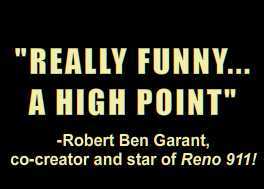 Garant was a judge for the festival, and he called our film, "Really funny... a high point." We've been watching Garant and Lennon since they were members of the brilliant sketch comedy troupe, The State, so we were very gratified to hear such kind words from people whose work we've admired for so long. September 10, 2009 - SCREENING! We're thrilled to be about to make our NYC premiere at the Friars Club Comedy Film Festival September 24-27. Jeremy will attend in person. September 5, 2009 - SCREENING! Miracle Investigators has been invited to screen at the Bend Film Festival in Bend, OR, October 8-11. September 1, 2009 - PRAISE BE TO MIRACLE INVESTIGATORS! Congratulations to the cast and crew for another very positive review, this one from one of the screeners at the Festivus Film Festival. Check out the video review here. July 29, 2009 - SCREENING! Miracle Investigators has been invited to screen at the SoCal Independent Film Festival in Huntington Beach, CA, September 14-23. July 14, 2009 - PRAISE BE TO MIRACLE INVESTIGATORS! We just picked up a bit of buzz in the latest issue of MovieMaker Magazine. A reviewer who saw us earlier this year at the L.A. Comedy Shorts Festival called the film "Brilliant"! June 26, 2009 - SCREENING! Miracle Investigators will play at the DC Shorts Film Festival in Washington DC on Thursday Sept. 10 and Saturday, September 12. Apr 19, 2009 - SCREENING! Miracle Investigators will be more than OK to play at the deadCENTER Film Festival in Oklahoma City, OK, June 10-14, 2009. Apr 11, 2009 - SCREENING! Miracle Investigators has been invited to screen at the Little Rock Film Festival in Little Rock, Arkansas. We'll play once on Friday May 15 at 8:45pm and again on Saturday May 16 at 3:30pm. Mar 19, 2009 - SCREENING! Miracle Investigators is heading to Europe again to play the 11/22 International Comedy Short Film Festival June 16-20 in Vienna, Austria. Mar 8, 2009 - PRAISE BE TO MIRACLE INVESTIGATORS! Got the good word on our film from Gary Anthony Williams, current artistic director of the L.A Comedy Shorts Film Festival and an actor you'll recognize from Malcolm in the Middle, Reno 911! and Desperate Housewives. 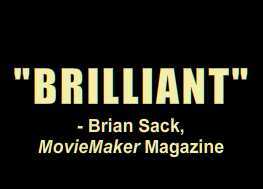 Gary had this to say about Miracle Investigators: "A f**king funny film... good stuff!" Feb 10, 2009 - SCREENING! Miracle Investigators will make its Canada premiere at the World of Comedy Film Festival in Toronto on Friday Feb 27, 2009. Feb 9, 2009 - PRAISE BE TO MIRACLE INVESTIGATORS! We've been reviewed by the DC Shorts Film Festival Blog. Would Dominic and Justin agree with these findings? Feb 5, 2009 - SCREENING! Miracle Investigators has been invited to play Method Fest in Calabasas, CA, March 26 - April 2. Method Fest is a festival dedicated to great performances, so a particular congratulations to the Miracle Investigators cast for landing this one. Feb 3, 2009 - SCREENING! Miracle Investigators is heading toward the Arctic Circle to play the Dawson City International Short Film Festival, April 9-12 in Dawson City, Canada. Feb 1, 2009 - SCREENING! Miracle Investigators will make its Colorado premiere at the Vail Film Festival in Vail, CO, also on April 5-8, 2009. Jan 27, 2009 - SCREENING! Miracle Investigators has been invited to the L.A. Comedy Shorts Festival on March 5-8, 2009 in Los Angeles, CA. Jan 26, 2009 - SCREENING! Miracle Investigators will be shown at the Southeast New England Film, Music, and Arts Festival, April 2-5 in Providence, RI. Dec 15, 2008 - SCREENING! 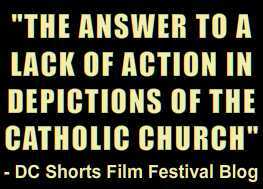 Miracle Investigators will play in the Show Off Your Shorts Film Festival on Saturday Feb 7 in Beverly Hills, CA. Oct 30, 2008 - AWARD! Miracle Investigators won the Audience Award at the Austin Film Festival. Congratulations to the cast and crew for another one! Oct 9, 2008 - SCREENING! Miracle Investigators will play in the French Quarter at the Big Easy Shorts Festival in New Orleans on Sunday, November 16 at 1:30 pm. Oct 5, 2008 - AWARD! We just got word that Miracle Investigators won an Audience Choice Award last month at the Chicago International REEL Shorts Festival. Oct 3, 2008 - INTERNATIONAL PREMIERE! Miracle Investigators has been accepted into the WT Os International Film Festival in Os, Norway, November 5-9, 2008. Oct 1, 2008 - AWARD! 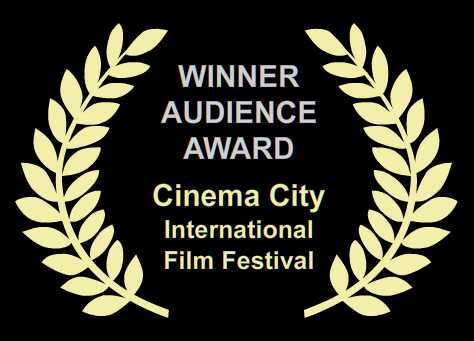 Miracle Investigators won an audience award at the Cinema City International Film Festival, on Wednesday, October 1, 2008. Sept 24, 2008 - MIRACLE SIGHTING! We received a (very brief) shout out in the Los Angeles Business Journal for our appearance at the Cinema City International Film Festival not so much a review as an acknowledgement that we exist, but we'll take whatever fleeting apparitions we can get. Sept 23, 2008 - AWARD! 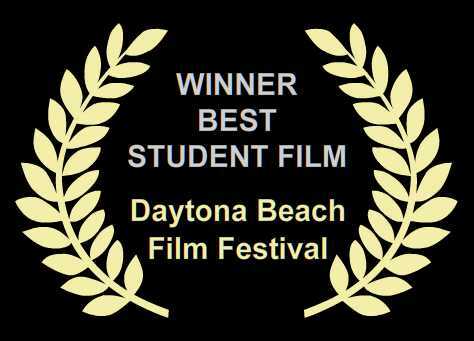 Miracle Investigators won "Best Overall" in the student film division of the the Daytona Beach Film Festival last weekend. Congratulations to the entire cast and crew! Sept 22, 2008 - SCREENING UPDATE! Dates and times for the Austin Film Festival are official. We'll screen on Thursday, October 16 at 10pm at the Hideout, and then again on Sunday Oct 19 at the Ritz. Hope to see you there! Sept 9, 2008 - SITE UPDATE! The new trailer is now available in the VIDEO section of this site, or click here to watch on YouTube. Sept 8, 2008 - SCREENING! Miracle Investigators is going back to Texas as a featured short in the Austin Film Festival, October 16-23, 2008. Sept 7, 2008 - SCREENING! Miracle Investigators will play at the Daytona Beach Film Festival on September 18-21, 2008. Sept 1, 2008 - SCREENING! Miracle Investigators has been officially invited to screen at the Cinema City International Film Festival, on Tuesday, September 30, 2008. Aug 22, 2008 - PRAISE BE TO MIRACLE INVESTIGATORS! No official word yet on whether we've been accepted to the Cinema City Film Festival, but I'm optimistic--Suzanne Delaurentiis, a producer and the director of the festival just called me personally to tell me how much she enjoyed our screener: "Hilarious... It's such an original idea. I've never seen anything like it." She went on to express surprise that such a well-made film could have been created by a student crew. Congrats to the cast and crew for earning such compliments! Aug 17, 2008 - SCREENING! Miracle Investigators has been accepted to the Chicago International REEL Shorts Festival, September 12-14, 2008. Aug 8, 2008 - WORLD PREMIERE! Miracle Investigators will make its world premiere at the Rome International Film Festival on September 6, 2008. June 20, 2008 - It's a Miracle! After a ridiculously long postproduction, "Miracle Investigators" has been completed. Watch this space for news about upcoming screenings, imminent site updates, and the forthcoming DVD of the film. In the meantime, check out the rest of the site, and view the opening sequence in the "VIDEO" section.